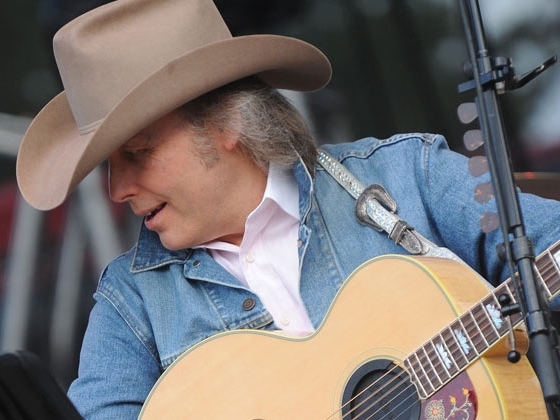 Dwight Yoakam dresses like a honkytonk star, but looks sure are deceiving. Yoakam spends as much time in front of the camera these days as behind a microphone, what with showy roles in the “Crank” series and supporting appearances in “Four Christmases” and the upcoming miniseries “To Appomattox.” And while he rigorously plays tribute to country music legends like Johnny Cash and Buck Owens, his music bears an unmistakable pop music vibe that makes it more than accessible to the country-fearing masses. “3 Pears,” his first album of new tracks in five years, finds the country crooner revisiting his songwriting strengths. The album is neither an experimental side project nor a pitch to expand his base. It’s sweet, soulful and filled with textured melodies made all the better by his unmistakable tenor. It also smacks of the singer’s sense of humor, both in its plucky word play and choice of covers. The first track, “Take Hold of My hand,” is vintage Yoakam down to its no-nonsense lyrics. “I lusted for love, but lust is so blind,” he sings between twangy guitars. “Waterfall” starts out like a children’s song before springing a gorgeous chorus on us, capped by some seriously goofy nonsense about a giraffe and one very long bath. “Nothing but Love” feels a bit like a down and dirty break up song before the cascading chorus rallies to the song’s side. It’s hard to see the title track as anything but an unvarnished plea for radio air time. The hook heavy “3 Pears” matches Yoakam’s voice with twinkling percussion, an instantly catchy combination that feels slightly hollow after repeated lessons – but that sugar buzz refuses to fade. Target is selling “3 Pears” with two exclusive cover tracks – one obvious selection, the other from far right field. “Ring of Fire” taps the brakes on Cash’s classic track, letting Yoakam’s voice drag a few beats longer to unearth the song’s torment. It’s solid but hardly a revelation. The album’s biggest surprise comes with his take on the early Bee Gees hit “To Love Somebody.” The results are uneven, with a stubborn chorus interrupting the song’s flow. It’s still nice to see Yoakam throwing fans the expected pleasures along with an occasional knuckle curve. Note: Review updated to include that the album’s two cover tunes can be found only on the Target exclusive edition of the album.